• Diamond shaped Muscle Pad delivers optimized performance and perfect flow through the entire set. 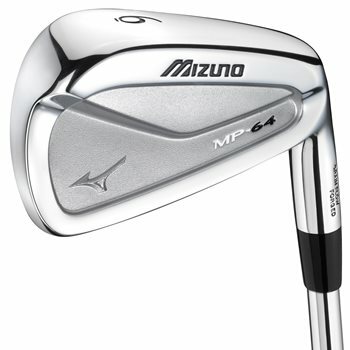 • Designed to optimize sound and feel at impact utilizing Mizuno’s Harmonic Impact Technology, or HIT. • Patented Grain Flow Forged 1025E carbon steel provides a soft, solid and consistent feel. • Tour proven sole design and a compact head size allow for the ultimate ability to shape shots. • Modified U-Grooves produce the ideal spin rate.